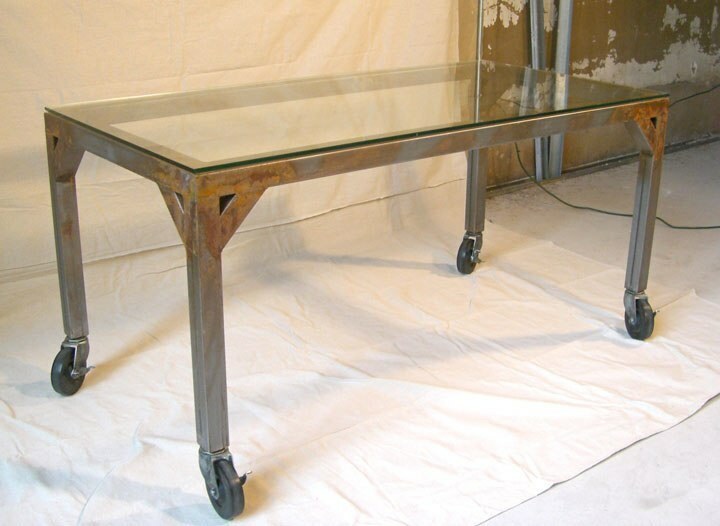 My interior decorating style leans more on the feminine side but there is still this love of industrial furniture that lurks beneath... these beauties are from John Beck Paper & Steel. I was so pleased when an email from John arrived today and I found his work for the first time, all of these childhood memories came rushing in that I had long forgotten. When I was a kid my father would drag me to commercial kitchen warehouses where I'd spend hours by his side as he'd select counters for the kitchens of his restaurants (his evening 'hobby' was owning a business or two on the side). I remembered rooms with what looked to hold hundreds of industrial steel tables and cabinetry. I also recall how proud of his purchases he was and how often, after school, I would sit on a stool in the kitchen watching him lay everything out on the shiny metal surface to prepare for the nightly special. 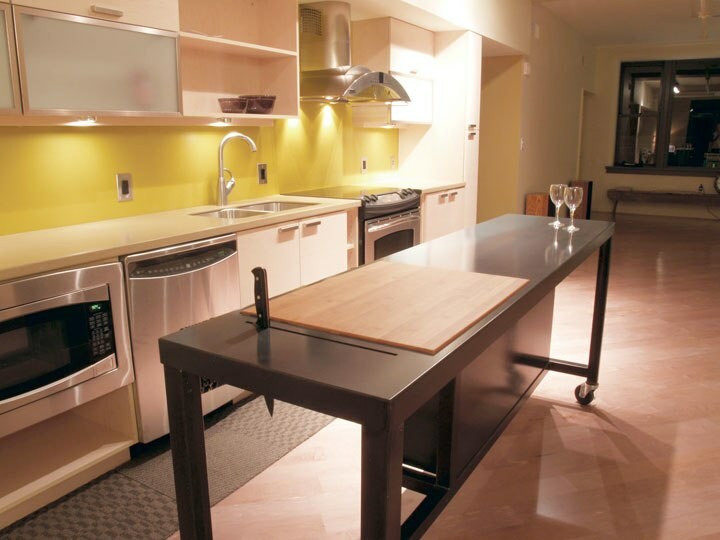 To this day I think about owning a chef's kitchen with industrial counters like these. Obviously I'm not the only one. My first love is an all-white kitchen or white with bits of teak throughout, I can imagine integrating steel into the mix. It gives the look of a professional kitchen which is a popular look right now. 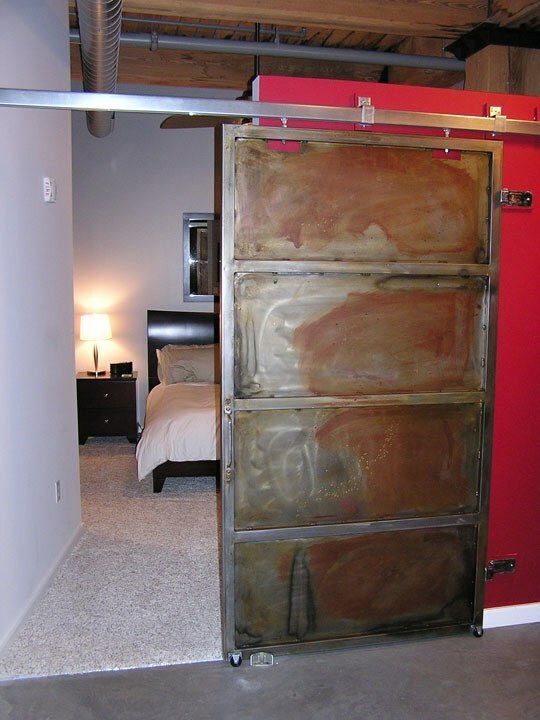 Steel is a great surface to work on, heavy-duty tough and nearly impossible to stain. An open kitchen is one many enjoy as today?s kitchens are social areas, more and more are knocking down walls to open up space to include a center prep area to accommodate either additional helpers or guests who enjoy socializing while the chef is at work. I also love what John has done to the storefront cashier's table shown below, it's brilliant. 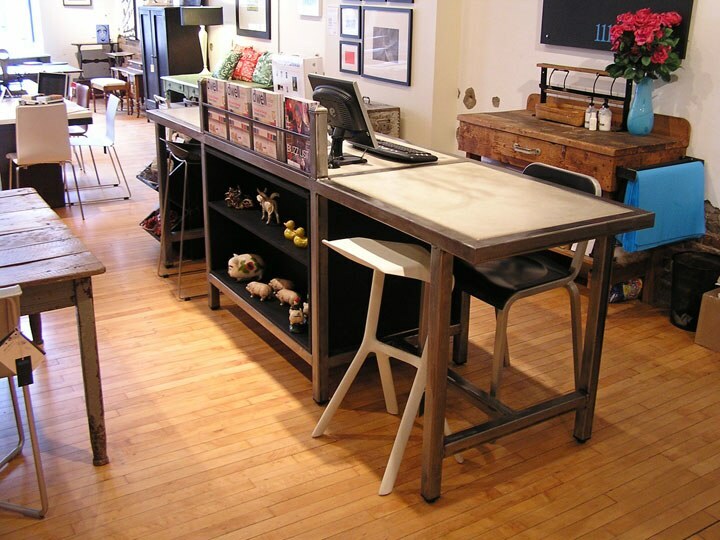 You also have to see the desk on wheels below, another great find. Please take a moment to look at John's website, his bio reads so down-to-earth -- I especially loved this line, "I got a rock star wife, a couple of rugrats (18 and 7), a truck, and a house in the 'burbs."